I wanna share this one my sister got back in 2007, I don't recall its actual name, I presume it was just called the Ireland Bear? Minnie. Minnie is the rarest bear I've got - she was sold in one location only. Downtown Disney. I don't have pics right now. Ooooh, I didn't know BAB had bears like that, that you could only get in one specific place :o You're lucky!!! 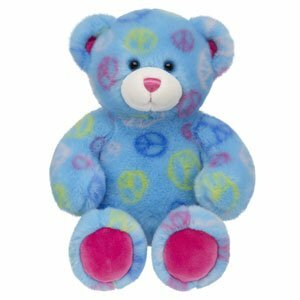 I have the original endless hugs teddy. (I think thats the name at least) She is retired, but idk if she is rare or not. (She is "Beautiful" my bear) She was my first build a bear, and I got her for my birthday in 2009? 2010? And I have the signed bear you got from having a party at BAB a couple years back with siggies from all my friends who came. And I also have the limited edition Strawberry Cheesecake Blizzard bear from 2011. That bear is named Strawberry Swirl xD The little blizzard piece still smells like strawberry cheesecake ice cream after all these years! I guess I've taken pretty good care of it! Are any of these 'rare' tho? 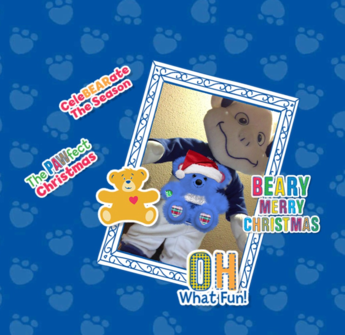 Last edited by MelonyAutumn7; 11-23-2018 at 12:46 AM..
i know i have a downtown disney bear (specifically, the brown one from 2010) and a build a dino as well (or maybe 2? i feel like i have both a green and a purple one, but i'm not going to open those compressed bags anytime soon.) I also have some bears i don't know the names of that i got from goodwill (probably not rare, but then again—i don't know.) in addition to that, i have a lot of limited edition bears, like the entire dairy queen collection from '11 and the pony + dragon duo. that's why it hurt so much for me when BABV shut down. knowing my family put so much time and money into a bunch of expensive stuffed animals, and that we'll never get it back felt awful. found this one at goodwill. Last edited by st2nic; 11-28-2018 at 01:14 AM..
Last edited by FruityPear; 11-28-2018 at 10:29 AM.. Giant rudolph made an appearance.